In alliance with New York City based Vox Novus, the Austin Mandolin Orchestra will present a Fifteen-Minutes-of-Fame concert at Blackerby Recital Hall on March 8 at 7:00 p.m.
Austin, Tex. — In alliance with New York City based Vox Novus, the Austin Mandolin Orchestra will present a Fifteen-Minutes-of-Fame concert at Blackerby Recital Hall on March 8, 2015 at 7:00 p.m. The Austin Mandolin Orchestra (AMO) is a volunteer community plucked string orchestra featuring mandolin, mandola, mandocello, guitar, and bass. "Our adventurous repertoire spans classical, jazz and traditional world music," said Joel Hobbs, the founding director of AMO. "This is an outstanding opportunity for established and aspiring composers to collaborate with our orchestra to bring vibrant new music to our community." Vox Novus is a collective of composers, musicians, and music enthusiasts collaborating together to create, produce, promote and enjoy the new music of today. 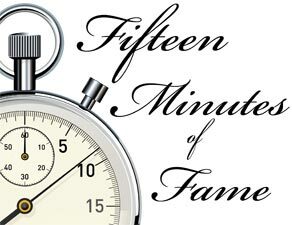 Fifteen-Minutes-of-Fame is a project where a specific musician or ensemble presents new one-minute chamber works by fifteen different composers. While the project typically debuts these miniature works in New York City on the Composer's Voice Concert series, the Austin Mandolin Orchestra will host a rare Fifteen-Minutes-of-Fame concert in Austin Texas. Composers from around the world have crafted original works designed for and dedicated to the Austin Mandolin Orchestra. The fifteen selected composers whose pieces will be performed on March 8 are: Aram Petrosyan, Barry Trott, Blair Whittington, Daniel Grantham, David Bohn, Erik Branch, Evelyn Tiffany-Castiglioni, James J. Kellaris, Johanna Asher, John Egenes, Jean-Pierre Vial, John R. Akins, Owen Hartford, Philip DeWalt, Rodrigo Baggio. Additionally, these pieces will be performed on Friday October 16, 2015 as part of the 29th Annual Convention of the Classical Mandolin Society of America, which Austin Mandolin Orchestra will host in Austin Texas from October 14-18, 2015. I'm looking forward to being there on March 8, as well as for the CMSA Convention. They are in Texas, just 100 miles down the road, so no flying with the mandolin! My piece "Wild Onion Rag" will be one of the 15 premiered, and I am honored and delighted that AMO will play it. If other Texas mandolinists will be there, I hope to meet you.